South Korean smartphone giant have officially taken the veil off its latest upper mid-range smartphone, the Samsung Galaxy A9 (2018). Aside being the newest addition to its A-series of device, the Galaxy A9 (2018) launches with an insane incredible amount of sensors on the rear. Launched today (October 11) at an event in Kuala Lumpur, the capital of Malaysia, the Samsung announced the Galaxy A9 (2018) with four cameras on the rear, making it the first smartphone in the world to sport such number of sensors. 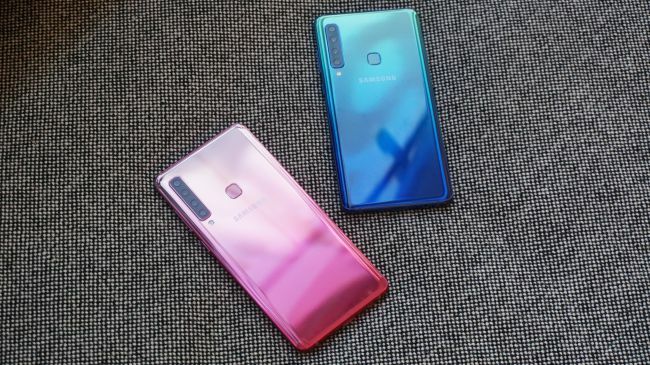 This comes not too long after the OEM announced the Galaxy A7 (2018) from the same A-series with three lens on the rear — stamping it in history’s book as the world’s first smartphone with triple rear camera. 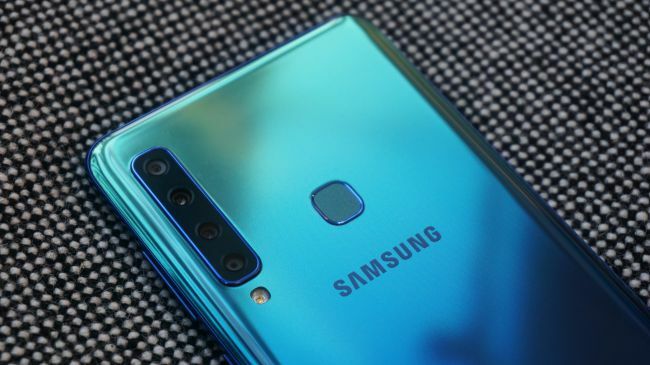 The new Galaxy A9 now makes it seem as though Samsung is keen on taking smartphone photography (or “phonography” as it is colloquially called) to the next level — the future. Below are some of the highlight specifications of the Galaxy A9 (2018). 1, 2, 3, 4 Rear Cameras! Calling the Galaxy A9 (2018) a phone with cameras or a fully fledged camera with a phone leaves you correct either ways. The device comes with four type of lenses: a normal lens, an ultra-wide lens, a telephoto lens and a depth lens. 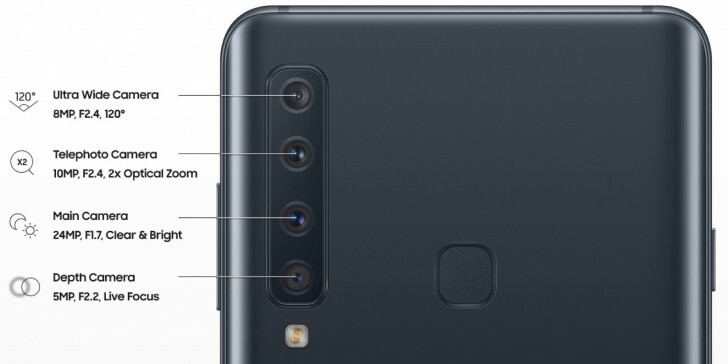 The introduction of a telephoto lens differentiates the Galaxy A9 (2018) from the previously released Galaxy A7 (2018) with triple rear camera. The quad rear-camera are set up vertically with the 8MP ultra-wide 120-degree lens and f/2.4 aperture coming first in line (from the top). Following the ultra-wide lens is a 10MP telephoto lens featuring f/2.4 aperture and 2x optical zoom allowing users to get more up-close with the subject to be captured. When taking photos, users can choose either the ultra-wide angle or telephoto lens to focus on a subject or scene to be captured. The main camera is third on the column and is a the default lens when the device camera is in auto mode. It is a 24MP lens and come with the widest aperture (f/1.7) for better low light photography; using “pixel binning” to combine 4 pixels into one in low light environments or conditions. The final lens completing the quad-camera set-up on the rear is the 5MP depth lens with an f/2.2 aperture. This is the sensor responsible for the Bokeh effects on images using Samsung’s Live Focus feature. Then comes the LED flash. 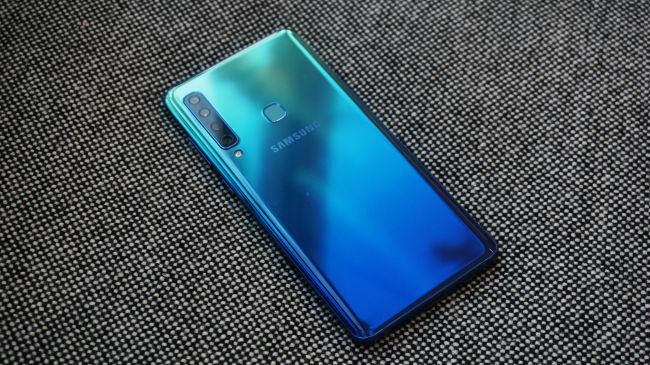 The first aesthetical property of the Galaxy A9 you might fall in love with real quick are the reflective two-tone colors. Covered with glass on the front and back, the device is available in three colour options: Lemonade Blue, Bubblegum Pink, and Caviar Black. Only the Blue and Pink variants sport the Huawei P20-esque reflective two-tone hues or gradient design. A 6.3-inch Super AMOLED Infinity display with Full HD+ (1080 x 2220) resolution takes a sizeable portion of the frontal real estate. This is similar to the display used on the Samsung Galaxy Note 8 but with lower resolution and pixel density. On a device with four cameras on the rear, one would expect —like the newly launched Pixel 3 and 3 XL— at least dual cameras on the front. But that’s not the case. The Galaxy A9 (2018) front facing camera is a 24MP lens with f/2.0 aperture and supports Face Unlock. This camera will surefire produce clean Instagram and SnapChat worthy selfies. The Samsung Galaxy A9 (2018) will run the Android v8.0 Oreo OS out-of-the-box. There’s no word on the possibility of an Android Pie update but I’m certain users of this device will have a taste of the Pie before the year runs out or early next year. The device will be powered by Qualcomm’ Snapdragon 660 CPU with a total of eight cores. Four have a max clock speed of 2.2GHz while the other four clocks at 1.8GHz. Per storage, the Galaxy A9 (2018) comes in two variants based on RAM — 6GB or 8GB. Interestingly, both variants will come with a colossal 128GB of built-in memory built-in with an option to expand via micro SD card up to 512GB. Other specifications of the Samsung Galaxy A9 (2018) include USB-C port, 3.5mm hradphead jack, non-removable Li-Ion 3800 mAh battery, dual standby Nano SIM, and rear-mounted fingerprint sensor. The Galaxy A9 (2018) is expected to be available for purchase from November at a price of $720 for the base model with 6GB RAM.